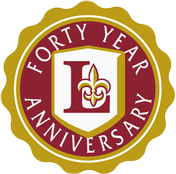 Established in 1976, Lutheran High School is open to students of any race, color, and creed who desire a quality education in a Christian environment. While the majority of our student body is Lutheran, Baptist, Catholic, Church of Christ, Methodist, Presbyterian, and other religious denominations as well as unchurched families are represented in our student body. Lutheran High School faculty and staff collaborate with parents to provide students with a top-notch education that prepares them for college and life beyond our doors. You learn to excel in high school, in college, and throughout your life. Lutheran High School is fully accredited by the North Central Association of Colleges and High Schools, the Lutheran Church—Missouri Synod, and the Indiana Department of Education. 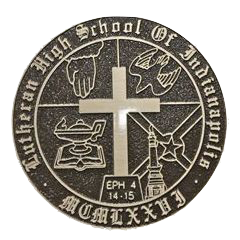 Lutheran High School is owned and operated by the Greater Indianapolis Association for Lutheran Secondary Education, an association of Lutheran congregations whose purpose is to provide Christian education for the youth of their churches and the community. In a recent study, the U.S. Department of Education ranked the Lutheran system highest, academically, among all other schools, including public, Catholic, charter, or other private schools. (Brekke, M., Youth Research Center).